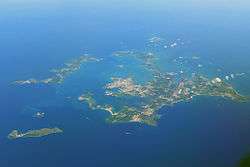 The Penghu or Pescadores Islands are an archipelago of 64 islands and islets in the Taiwan Strait. 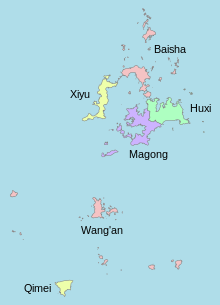 The largest city is Magong, located on the largest island, which is also named Penghu. 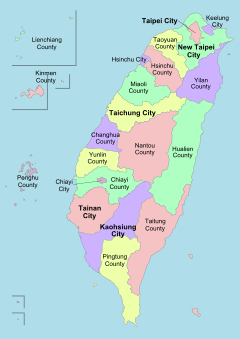 Covering an area of 141 square kilometers (54 sq mi), the archipelago collectively forms Penghu County of Republic of China (known as Taiwan), and is the second smallest county, after Lienchiang. The traditional English name of the islands, the Pescadores, comes from the Portuguese name Ilhas dos Pescadores ("Fishermen Islands"). The Modern European Portuguese pronunciation is [pɨʃkɐˈðoɾɨʃ] but, in English, it is typically closer to Classical Portuguese's: /ˌpɛskəˈdɔːrɪz/ or /-iz/. The islands have also been called Pehoe. Pescadores was also the name given by the Spanish expedition of Hernando de Grijalva in 1537 to the Micronesian atoll Kapingamarangi. Finds of fine red cord-marked pottery indicate that Penghu was visited by people from southwestern Taiwan around 5,000 years ago, though not settled permanently. Han Chinese from southern Fujian began to establish fishing communities on the islands in the 9th and 10th centuries, and representatives were intermittently stationed there by the Southern Song and Yuan governments from around 1170. The islands are described in some detail in Wang Dayuan's Dao Yi Zhi Lue (1349). In the 15th century, the Ming ordered the evacuation of the islands as part of their maritime ban. When these restrictions were removed in the late 16th century, fishing communities were re-established on the islands, giving rise to its Portuguese and then English name. 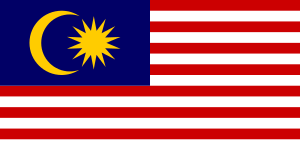 The Ming established a military presence in 1603, repelling a Dutch attempt to establish a base on the islands in 1622. The Dutch East India Company tried to use military force to make China open up a port in Fujian to trade and demanded that China expel the Portuguese from Macau, whom the Dutch were fighting in the Dutch–Portuguese War. The Dutch raided Chinese shipping after 1618 and took junks hostage in an unsuccessful attempt to get China to meet their demands. The Dutch were defeated by the Portuguese at the Battle of Macau in 1622. That same year, the Dutch seized Penghu (the Pescadores), built a fort there, and continued to demand that China open up ports in Fujian to Dutch trade. China refused, with the Chinese Governor of Fujian (Fukien) Shang Zhouzuo (Shang Chou-tso) demanding that the Dutch withdraw from the Pescadores to Formosa (Taiwan), where the Chinese would permit them to engage in trade. This led to a war between the Dutch and China between 1622 and 1624 which ended with the Chinese being successful in making the Dutch withdraw to Taiwan and abandoning Pescadores. The Dutch threatened that China would face Dutch raids on Chinese ports and shipping unless the Chinese allowed trading on Penghu and that China not trade with Manila but only with the Dutch in Batavia and Siam and Cambodia. China wasn't persuaded by these threats. After Shang ordered them to withdraw to Taiwan on September 19 of 1622, the Dutch raided Xiamen (Amoy) on October and November. The Dutch intended to "induce the Chinese to trade by force or from fear" by raiding Fujian and Chinese shipping from the Pescadores. Long artillery batteries were erected at Amoy in March 1622 by Colonel Li-kung-hwa as a defence against the Dutch. On the Dutch attempt in 1623 to force China to open up a port, five Dutch ships were sent to Liu-ao and the mission ended in failure for the Dutch, with a number of Dutch sailors taken prisoner and one of their ships lost. In response to the Dutch using captured Chinese for forced labor and strengthening their garrison in Penghu with five more ships in addition to the six already there, the new Governor of Fujian Nan Juyi (Nan Chü-i) was permitted by China to begin preparations to attack the Dutch forces in July 1623. A Dutch raid was defeated by the Chinese at Amoy on October 1623, with the Chinese taking the Dutch commander Christian Francs prisoner and burning one of the four Dutch ships. The Chinese began an offensive on February 1624 with warships and troops against the Dutch in Penghu with the intent of expelling them. The Chinese offensive reached the Dutch fort on July 30, 1624, with 5,000 Chinese troops (or 10,000) and 40-50 warships under General Wang Mengxiong surrounding the fort commanded by Marten Sonck, and the Dutch were forced to sue for peace on August 3 and folded before the Chinese demands, withdrawing from Penghu to Taiwan (Formosa). The Dutch admitted that their attempt at military force to coerce China into trading with them had failed with their defeat in Penghu. At the Chinese victory celebrations over the "red-haired barbarians", as the Dutch were called by the Chinese, Nan Juyi (Nan Chü-yi) paraded twelve Dutch soldiers who were captured before the Emperor in Beijing. The Dutch did not expect the subsequent Chinese attack on their fort in Penghu since they thought of them as timid and from their experience in Southeast Asia as a "faint-hearted troupe". After the Dutch defeat and expulsion from the Pescadores in the 1622–1624, they were totally driven off China's coast when they were decisively defeated by Chinese forces under Admiral Zheng Zhilong at the Battle of Liaoluo Bay in 1633 and then in 1662 they were defeated and driven off Taiwan at the Siege of Fort Zeelandia by Chinese forces under Zheng Chenggong (Koxinga). For a period in the mid-17th century, Taiwan and the archipelago were ruled by the Koxinga kingdom (Kingdom of Tungning), which was overthrown by the Qing dynasty in 1683 after the Battle of Penghu. The Penghu archipelago was captured by the French in March 1885, in the closing weeks of the Sino-French War, and evacuated four months later. The Pescadores Campaign was the last campaign of Admiral Amédée Courbet, whose naval victories during the war had made him a national hero in France. Courbet was among several French soldiers and sailors who succumbed to cholera during the French occupation of Penghu. He died aboard his flagship Bayard in Makung harbour on 11 June 1885. Towards the end of the First Sino-Japanese War, having defeated the Qing in northern China, Japan sought to ensure that it obtained Penghu and Taiwan in the final settlement. In March 1895, the Japanese defeated the Chinese garrison on the islands and occupied Makung. The Japanese occupation of Penghu, with its fine harbor, gave the Imperial Japanese Navy an advanced base from which their short-range coal-burning ships could control the Taiwan Straits and thus prevent more Chinese troops from being sent to Taiwan. This action persuaded the Chinese negotiators at Shimonoseki that Japan was determined to annex Taiwan, and, after Penghu, Taiwan and the Liaodong Peninsula had been ceded to Japan in the Sino-Japanese Treaty of Shimonoseki in April, helped to ensure the success of the Japanese invasion of Taiwan in May. Penghu County was then called the Hōko Prefecture by the Japanese government of Taiwan. 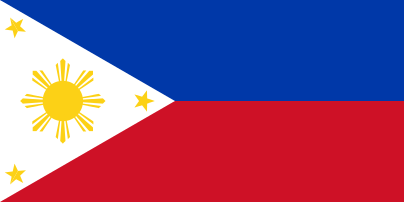 In the Second Sino-Japanese War, Makō (Makung) was a major base for the Imperial Japanese Navy and embarkation point for the invasion of the Philippines. 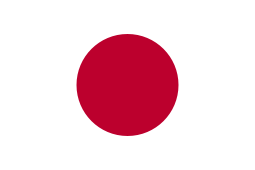 In the Cairo Declaration of 1943, the United States, the United Kingdom and China stated it to be their purpose that "all the territories that Japan has stolen from the Chinese, such as Formosa and The Pescadores, shall be restored to the Republic of China". On 26 July 1945, the three governments issued the Potsdam Declaration, declaring that "the terms of the Cairo Declaration shall be carried out". In the Treaty of San Francisco, signed in 1951 and coming into effect in 1952, Japan renounced sovereignty over Taiwan and Penghu, but left their final disposition unsettled. 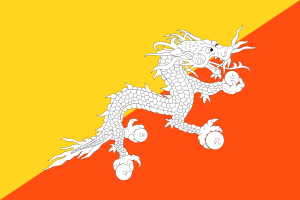 The archipelago has been administered by the Republic of China since that time. Boat people from Vietnam who were taken in by Taiwan's ships in the South China Sea were sent to the Pescadores. On 25 May 2002, China Airlines Flight 611, a Boeing 747-200 aircraft flying from Taipei to Hong Kong, disintegrated and exploded over the Islands. The wreckage slammed into the Taiwan Strait, a couple of miles off the coast. All 225 passengers and crew on board were killed. Starting 1 January 2015, tourists from Mainland China can directly apply the Exit & Entry Permit upon arrival in Penghu. This privilege also applies to Kinmen and Matsu Islands as means to boost tourism in the outlying islands of Taiwan. Penghu County is administered by Penghu County Government headed by Magistrate Chen Kuang-fu of the Democratic Progressive Party and headquartered at the Penghu County Hall. 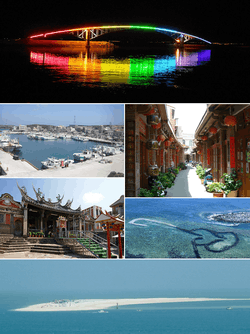 Penghu County is divided into 1 city, 5 rural townships. It is further divided into 97 villages. Together with Lienchiang County, Penghu County has no urban township. 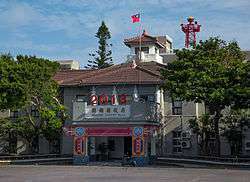 The county seat is located at Magong City where it houses the Penghu County Hall and Penghu County Council. The main islands of Magong City/Huxi Township, Baisha Township, and Xiyu Township are the three most populous islands and are connected via bridges. Two shorter bridges connect Huxi and Baisha. The bridge connecting Baisha and Xiyu is the longest bridge in the Republic of China and is called the Penghu Great Bridge. The county elects a single representative to the Legislative Yuan. 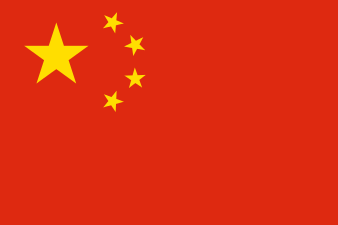 In the 2016 Republic of China legislative election, this seat was won by the Democratic Progressive Party with 55.4% of the vote. 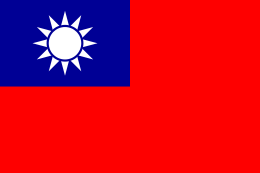 Despite the controversy over the political status of Taiwan, both the Republic of China and the People's Republic of China agree that Penghu is a county in (their own respective) "Taiwan Province" (Taiwan Province, Republic of China and Taiwan Province, People's Republic of China). 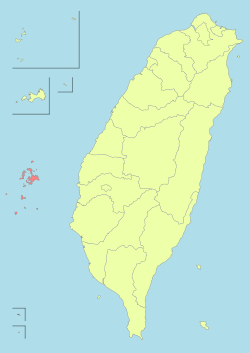 However, geographically, the island of Taiwan does not include Penghu, although it is closer to Taiwan than mainland China. Thus, Penghu is listed separately from "Taiwan" in some contexts, e.g. the Separate Customs Territory of Taiwan, Penghu, Kinmen, and Matsu (the official WTO name for the Republic of China) in the Treaty of Shimonoseki, the Cairo Declaration, and the Treaty of San Francisco (see above). Education-related matters in Penghu County are administered under the Education Department of Penghu County Government. The county houses the National Penghu University of Science and Technology. Penghu is powered up by its only major power plant, the Chienshan Power Plant, a 140 MW fuel-fired power plant commissioned in 2001. On 24 December 2010, the Taiwan-Penghu Undersea Cable Project of Taipower was approved by the Executive Yuan to connect the electrical grid in Taiwan Island to Penghu. Under a wind power development project approved in 2002 by the Executive Yuan, the ROC government plans to set up a total of 200 wind turbines in Penghu within 10 years. However, only 14 turbines have been set up as of 2015. On 1 October 2015, Taipower announced the construction of another 11 new wind turbines across the island, in which 6 will be constructed in Huxi Township and 5 in Baisha Township. The current total desalination capacity of the county to provide clean water to its residents is 15,500 m3 per day. To reduce its groundwater use, in November 2015 the county secured a contract of building an additional desalination plant with 4,000 m3 capacity per day, which its construction is expected to be completed by May 2018. Original 1908 memorial to the cruiser Matsushima pictured. Modern park memorial in Magong City, Penghu, Taiwan. Historical sites in the county are the Central Street, Qimei Lighthouse, Siyu Eastern Fort and Siyu Western Fort. Museums in the county are Ocean Resources Museum, Chang Yu-sheng Memorial Museum and Penghu Living Museum. 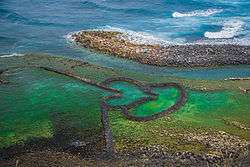 Penghu County is boasted with many nature attractions such as Penghu National Scenic Area, Double-Heart of Stacked Stones, Little Taiwan, Whale Cave and Southern Penghu Four Islets National Park. Penghu is served by its domestic Magong Airport built in Magong City and Qimei Airport built in Qimei Township. Both airports were opened in 1977. The Magong Harbor serves Penghu with Kaohsiung, Tainan and Chiayi. 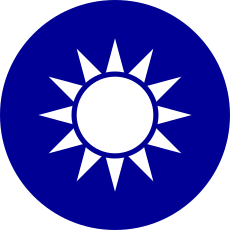 ↑ In 1949, the Republic of China government led by the Kuomintang (KMT) lost the Chinese Civil War to the Communist Party of China (CPC) and set up a provisional capital in Taipei, which serves as the seat of government to this day. The CPC established the People's Republic. As such, the political status of the ROC and the legal status of Taiwan (alongside the territories currently under ROC jurisdiction) are in dispute. In 1971, the United Nations gave the China seat to the PRC instead of the ROC: most states recognize the PRC to be the sole legitimate representative of all China, and the UN classifies Taiwan as "Taiwan, Province of China". 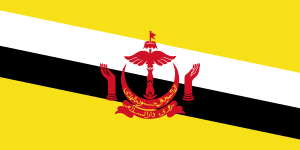 The ROC has de facto relations with most sovereign states. A significant political movement within Taiwan advocates Taiwan independence. ↑ Campbell, William (1903). "Explanatory Notes". Formosa under the Dutch: described from contemporary records, with explanatory notes and a bibliography of the island. London: Kegan Paul. p. 546. OCLC 644323041. 1 2 "Penghu Reclamation Hall". 1 2 Wills (2006), p. 86. ↑ Wills (2006), p. 87. ↑ Cooper (1979), p. 658. ↑ Freeman (2003), p. 132. ↑ Thomson (1996), p. 39. ↑ Covell (1998), p. 70. ↑ Wright (1908), p. 817. ↑ Wills (1998), p. 368. ↑ Shepherd (1993), p. 49. ↑ Hughes (1872), p. 25. ↑ Goodrich & Fang (1976), p. 1086. ↑ Goodrich & Fang (1976), p. 1087. ↑ Wills (1998), p. 369. ↑ Deng (1999), p. 191. ↑ Parker (1917), p. 92. ↑ Idema (1981), p. 93. ↑ Blussé, Leonard (1 January 1989). "Pioneers or cattle for the slaughterhouse? 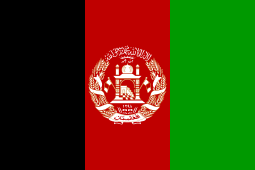 A rejoinder to A.R.T. Kemasang". Bijdragen tot de taal-, land- en volkenkunde / Journal of the Humanities and Social Sciences of Southeast Asia. 145 (2): 357. doi:10.1163/22134379-90003260. ↑ Wills (2010), p. 71. ↑ Cook (2007), p. 362. ↑ Li (2006), p. 122. ↑ Loir (1886), pp. 291–317. ↑ Takekoshi (1907), pp. 80–82. ↑ KAMM, HENRY (August 5, 1981). 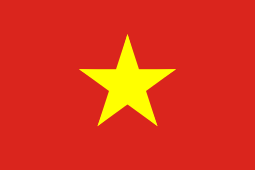 "DESPITE PERILS AFLOAT, VIETNAMESE CONTINUE TO FLEE". The New York Times. CAMP ONE MAKUNG, Pescadores, Aug. 1. ↑ Barron, Lisa (28 May 2002). "China Airlines safety record in the spotlight". Cable News Network LP, LLLP. Archived from the original on 25 October 2010. Retrieved 25 October 2010. ↑ "Annual ridership on Kinmen-Fujian ferry services tops 1.5 million". 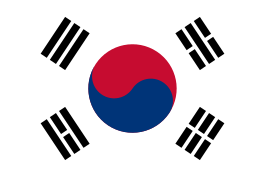 ↑ "2016 The 14th Presidential and Vice Presidential Election and The 9th Legislator Election". ↑ "Taiwan power company-Taipower Events". ↑ "Taipower to help build Penghu into low-carbon county". ↑ "Penghu chief seeks support for desalination plant expansion". Goodrich, Luther Carrington; Fang, Chao-ying, eds. (1976). Dictionary of Ming Biography, 1368–1644, Volume 2. Association for Asian Studies. Ming Biographical History Project Committee (illustrated ed.). Columbia University Press. OCLC 1622199. Wills, John E., Jr. (1998). "Relations with maritime Europeans, 1514–1662". In Twitchett, Denis C.; Mote, Frederick W. The Cambridge History of China: Volume 8, The Ming Dynasty, 1368–1644, Part 2. Cambridge University Press. pp. 333–375. ISBN 978-0-521-24333-9. 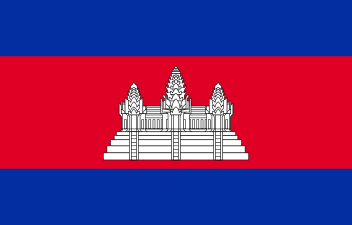 —— (2006). "The Seventeenth-century Transformation: Taiwan under the Dutch and the Cheng Regime". In Rubinstein, Murray A. Taiwan: A New History. M.E. Sharpe. pp. 84–106. ISBN 978-0-7656-1495-7. OL 8055024M. 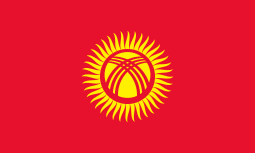 —— (2010). "Maritime Europe and the Ming". In Wills, John E., Jr. China and Maritime Europe, 1500–1800: Trade, Settlement, Diplomacy, and Missions. Cambridge University Press. pp. 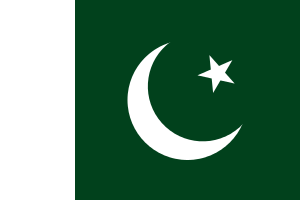 24–77. ISBN 978-0-521-43260-3. OL 24524224M. Cook, Harold John (2007). Matters of Exchange: Commerce, Medicine, and Science in the Dutch Golden Age. Yale University Press. ISBN 0-300-13492-4. Retrieved 10 March 2014. Deng, Gang (1999). Maritime Sector, Institutions, and Sea Power of Premodern China (illustrated ed.). Greenwood Publishing Group. ISBN 0-313-30712-1. ISSN 0084-9235. Li, Qingxin (2006). Maritime Silk Road. Translated by William W. Wang. China Intercontinental Press. ISBN 9787508509327. OCLC 781420577. Parker, Edward Harper, ed. (1917). China, Her History, Diplomacy, and Commerce: From the Earliest Times to the Present Day (2 ed.). J. Murray. LCCN 17030891. OL 6603922M.